Serena Williams opened up about the harrowing medical ordeal she experienced after giving birth to her first child, saying that meeting her daughter for the first time was "an amazing feeling," but then "everything went bad." Williams revealed that she underwent multiple operations after sustaining a pulmonary embolism the day after she gave birth via emergency cesarean section, in a new interview with Vogue magazine. The tennis superstar added that she was forced to spend the first six weeks of motherhood unable to get out of bed. Serena Williams and her daughter are photographed here by Mario Testino for Vogue magazine's February 2018 cover. Williams welcomed her daughter, Alexis Olympia Ohanian Jr., on Sept. 1, 2017, with her husband Alexis Ohanian, whom she later wed in November 2017. 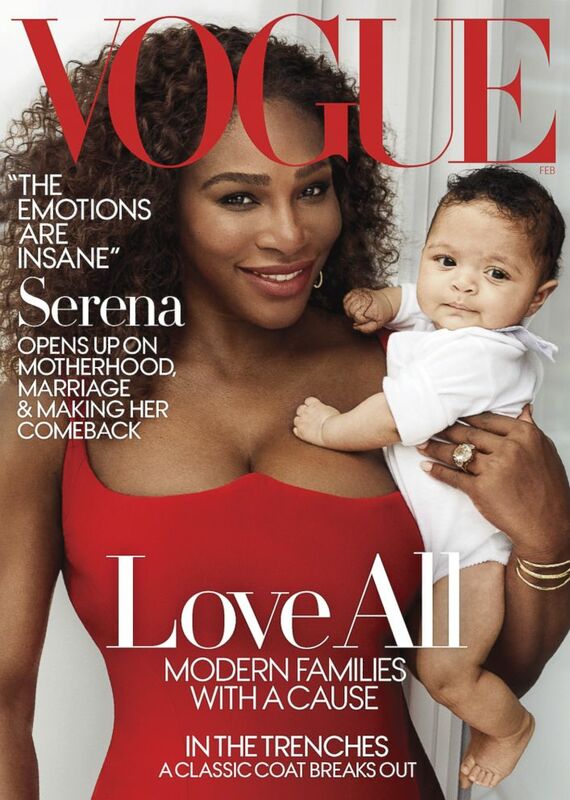 The tennis superstar told Vogue that her daughter, who she calls Olympia, was born by emergency c-section after Williams' heart rate dropped dangerously low during contractions. Williams added that while she had an easy pregnancy and the c-section went smoothly, on the day after the surgery, she suddenly fell short of breath while recovering. Williams, who has a history of blood clots, told Vogue that she immediately knew she was having a pulmonary embolism, and informed her doctors. Doctors eventually spotted several small blood clots in her lungs with a CT scan and put her on a blood thinner. Serena Williams is photographed here with her husband Alexis Ohanian by Mario Testino for Vogue magazine. Her medical ordeal took another turn when her c-section wound popped open during one of her coughing spells caused by the pulmonary embolism. When she returned to surgery, doctors also found a hematoma had flooded her abdomen. Williams said she then was forced to have another operation to have a filter inserted into one of her veins to prevent more clots from dislodging and traveling into her lungs, according to Vogue. ABC News chief medical correspondent Dr. Jennifer Ashton said complications from a c-section can include everything from bleeding and infection to damage to internal organs, blood clots and anesthesia complications and fetal complications. "The vast majority of time, to be clear, everything goes smoothly," Ashton, an ob-gyn, said today on "Good Morning America." "There can be complication rates, data has shown, as high as 30 percent." She added, "I want to be clear. These can be very minor complications or these can be major or life-threatening." Ashton described childbirth and pregnancy as an athletic event that can prove difficult for even elite athletes like Williams. "I’ve delivered over 1,500 babies," she said. "It’s rare, rare that I see a mother who goes through it without any kind of challenge." Ashton's advice to mothers is to be patient. "It is difficult and you have to be patient with yourself," she said. In addition to the health complications Williams experienced after giving birth, she also opened up about the "insane" emotions she felt during the first few months of being a mother. "No one talks about the low moments-—the pressure you feel, the incredible letdown every time you hear the baby cry," Williams told Vogue. "I’ve broken down I don’t know how many times." 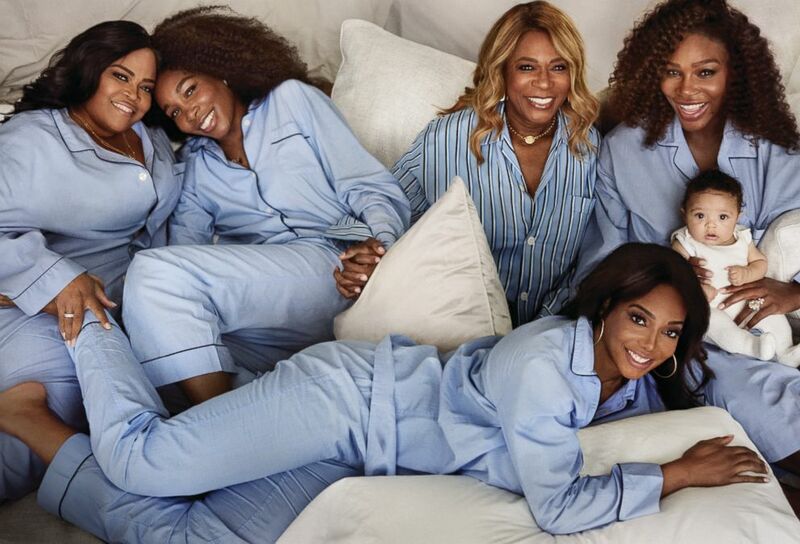 Mario Testino photographed Serena Williams with her daughter and family members for Vogue magazine. Ohanian said that he thought Williams' health complications made her first few months of mother hood "even harder." The Reddit co-founder added, however, that he "was happy to change diapers" as his Williams recovered. Williams added, however, that being a mother has always been one of her goals. "I look at my baby, and I remember that this was one of my goals before tennis took over, when I was still kind of a normal girl who played with dolls," Williams said. "We're not spending a day apart until she's eighteen," the new mother added. The February issue of Vogue hits newsstands nationwide on January 16th.